Introduction. Systems Theory and the Relation to TPS. The System Property of Holism in TPS (roles). The System Property of Goal Seeking in TPS (industrial engineering). The System Property of Goal Seeking in TPS (problem solving). The System Property of Regulation in TPS (Jishukens and Quality Circles). The System Property of Differentiation in TPS (leadership). The System Property of Hierarchies in TPS (Hoshin Kanri). The System Property of Transformation in TPS (change management). The System Property of Entropy in TPS (Human Resources). The System Property of Reversibility in TPS (Unions). The System Property of Negative Entropy (Organizational Learning). The System Property of Requisite of Variety (Production Leveling). The System Property of Interrelationship and Interdependence (Supplier Development). The System Property of Equifinality and Multifinalty (Product Design). The System Property of Equifinality and Multifinalty (Maintenance). Dr. Phillip Marksberry is the vice president of engineering and quality for American LaFrance, a custom manufacturer of emergency vehicles and modern fire engines. He received his BS in mechanical engineering at the University of Kentucky in 1997 and became board certified as a professional engineer in 2001. In 2000, he received his master?s degree in business management at Brescia University and in 2004 his PhD in mechanical engineering at the University of Kentucky. Dr. Marksberry has more than 20 years experience working in the automotive industry and holds several patents in metal cutting and product design. He has also held roles in production engineering, product design, industrial engineering, and operations. Prior to American LaFrance, he was a faculty member of the College of Engineering, with a joint appointment in the Department of Mechanical Engineering and Center for Manufacturing. 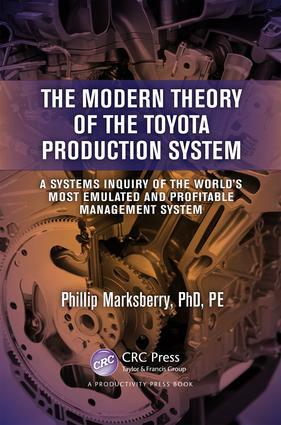 Dr. Marksberry has published over 30 technical journal articles and has been a member of various technical societies.